I had a free evening in Bordeaux last night, and Matthieu and Anne-Laurence Chadronnier (pictured above) kindly offered to take me to dinner. I am so glad I accepted their invitation. 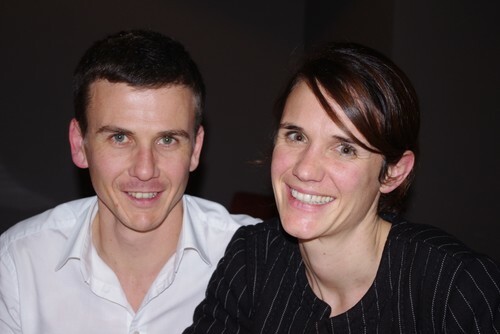 Matthieu is GM of negociant CVBG, and Anne-Laurence is a winemaker (and also blogs, at http://rougeblancbulles.blogspot.fr/). 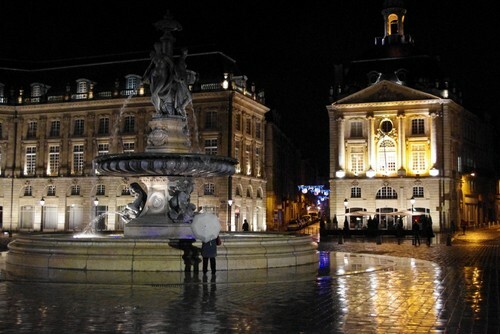 They are tremendously bright and represent the future of Bordeaux. 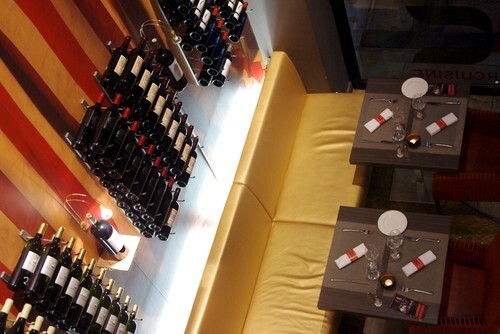 We went to Comptoir Cuisine (http://www.comptoircuisine.com/resto.html), which is a lovely restaurant. 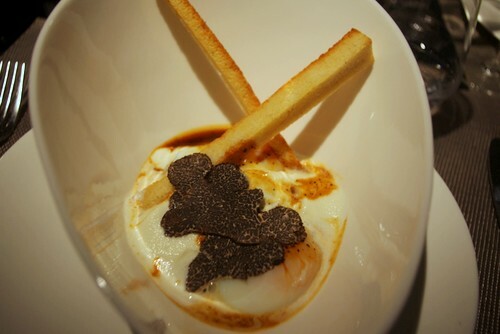 My starter, oeufs en cocotte, was just beautiful, with an added dimension from truffles. It’s the first time I’ve had this dish, which is basically eggs and creme fraiche, cooked for a few minutes in the oven – you embellish it with whatever you want. For my main I had a beautifully cooked slab of veal. But it is the wines that stole the show, and one wine in particular. The first wine, a little over-shadowed, deserves a mention. 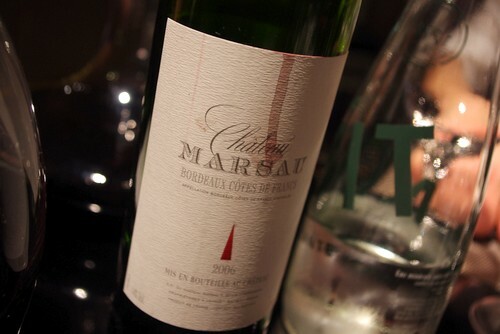 It’s Chateau Marsau 2006 Cotes de Francs. 100% Merlot from clay, this had lovely pure, generous berry fruits with a nice texture, good concentration, and a firm, tannic bite offsetting the sweet fruit. Brilliant value for £15 from Oddbins and Berry Bros & Rudd. Then this, served blind. I realised quickly it was very serious and very old. 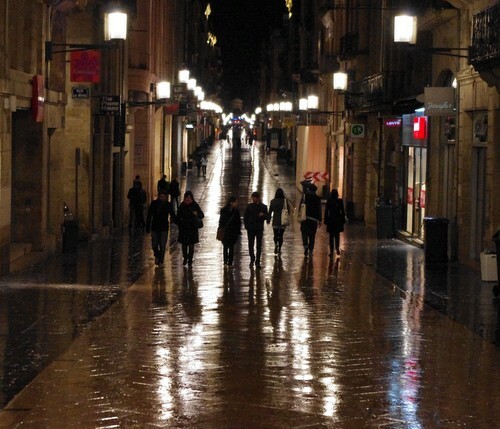 After dinner we wandered round the city. It was beautiful. 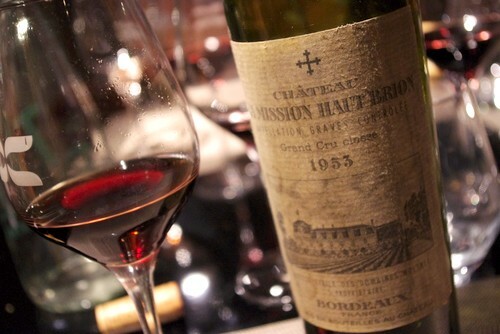 Thanks for sharing your wonderful memory and the info about 1953 wine with us.